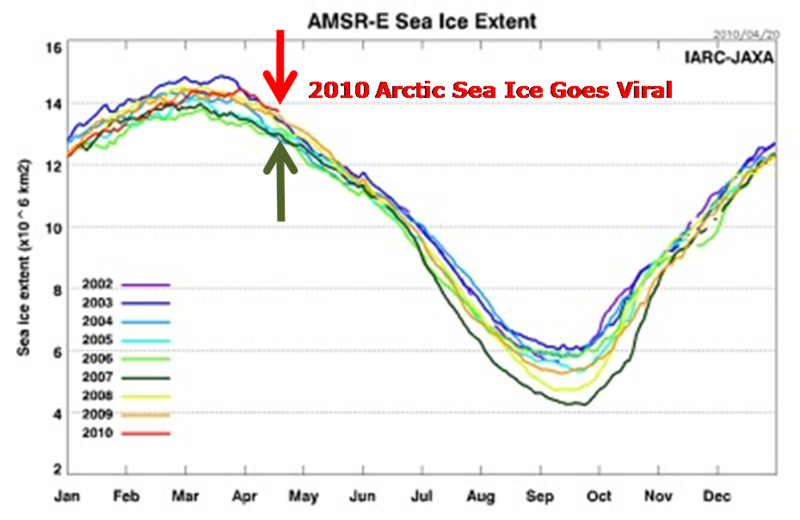 How curious they don’t notice the vast, massive and explosive growth of Arctic sea ice. If they can find their missing email at the North Pole, that should clench it for them. Arctic sea ice is consuming their datasets, their email, their settled science, and their missing BTU, they could easily conclude. For the first time, they would be right, in a very real sense. Arctic sea ice based upon the most recent measurement is growing at 2% a year. Perhaps the climate scientists, like Trenbarth, should go North and stay there until they figure it out. However heed this: we will not rescue you morons from your “fact-finding” missions into the dangerous northern ice pack any longer. The energy to rescue you costs a lot more than you are worth, thanks to your own prophetic (read “pathetic”) work.